New Mexico Court Reporters | National Court Reporters, Inc.
National court Reporters Inc seeks to support you and your team in every way possible. If you need a reliable court reporter in New Mexico, you can count on us to deliver. We align ourselves with only experienced, proven, certified court reporters and strive to offer complete litigation services to attorneys and their staff. With experience spanning medical malpractice, intellectual property law and most other legal proceedings, our New Mexico court reporters are ready to work with precision and quickness. Best of all, we can integrate ourselves into your legal team and processes as much or as little as your cases demand—from simply providing transcription services, to procuring conference rooms, video equipment, process serving and much more. Everything we do is backed by a drive to meet your highest expectations. 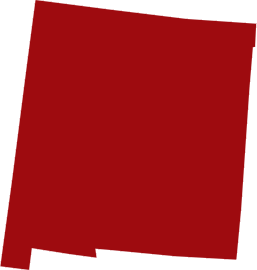 If you have a need for court reporting in New Mexico, waste no time in contacting National Court Reporters Inc. Our services are available to legal professionals throughout the state and nationwide.